Led Zeppelin By Led Zeppelin – the highly anticipated photo book charting the band’s legendary career – has been released by Reel Art Press. News of the photo book first came to light last year, with Robert Plant, Jimmy Page and John Paul Jones then coming together in the summer to be photographed with a draft of the official publication. The 400-page volume features previously unpublished photos and artwork from Led Zep’s archives and includes contributions from photographers from around the world. 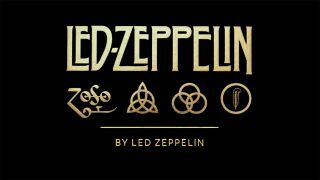 A statement on the book reads: “Led Zeppelin By Led Zeppelin is the first and only official illustrated book to be produced in collaboration with the members of the band. It’s the latest release to mark the band’s 50th anniversary and follows reissues of How The West Was Won and The Song Remains The Same, along with a 7-inch yellow vinyl featuring the Sunset Sound Mix of Rock And Roll and the Olympic Studio Mix of Friends. Last month, three digital-only compilations were also released. Led Zeppelin are the cover stars of the latest issue of Classic Rock magazine, where we take a look back at their greatest tracks and the stories behind them. But it now.